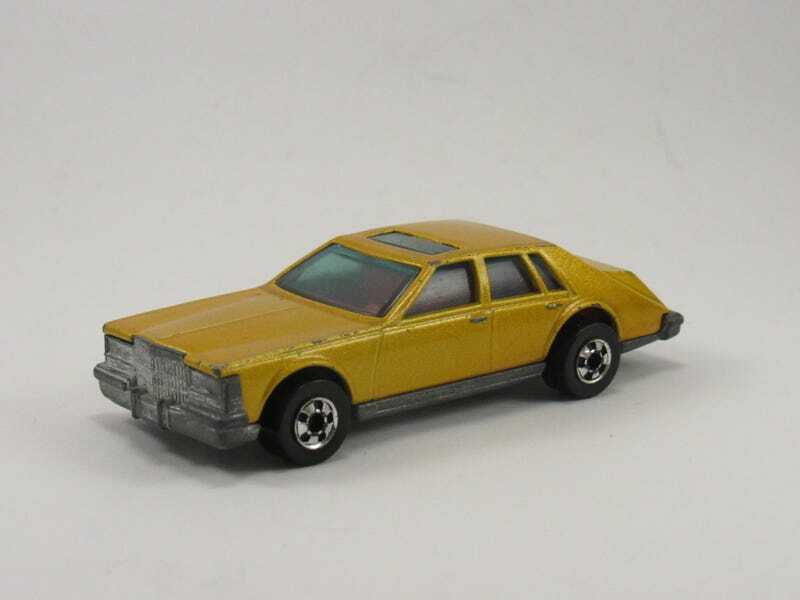 This Cadillac Seville is one of Hot Wheels’ more questionable castings. A relatively unloved, bulky sedan from the 80s universally regarded as one of the uglier cars ever made. But here it sits, in all its blocky, weird glory. Truly a child of the 80s auto industry. This was part of my recent flea market hawl. One interesting detail is that because some of the paint on the edges has worn off, the door handles look like they’re actually painted.